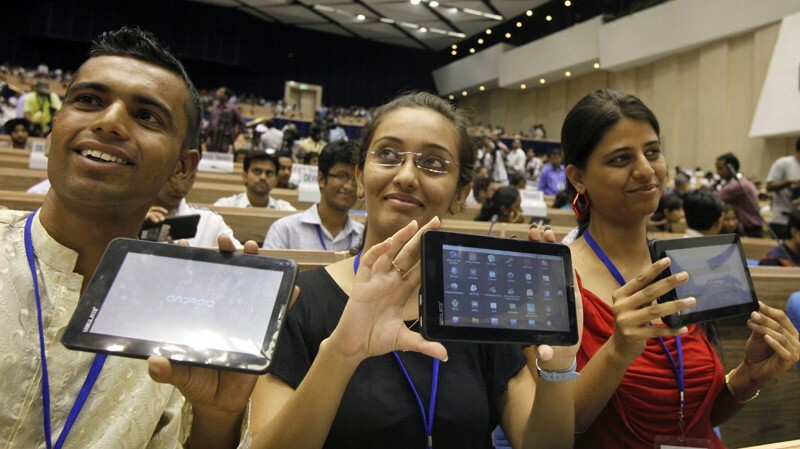 India’s government sponsored tablet, the Akash, has sold out less than one week after the device went on sale in the country online. The tablet, priced at just $45, gained considerable international attention when it was unveiled in October, primarily due its low price point which the Indian government hopes will provide a computing experience to more of the country’s population. We have closed bookings for Akash and opened online pre-bookings for the second generation Akash tablet. The new tablet is called the UbiSlate 7 and it is set to begin shipping next month for $55 (2,999 INR). Measuring 7 inches, the device packs more punch that the first generation version (the specs of which are here) making it better suited to use on the go. Unlike the Akash, the Ubislate 7 supports GPRS and WiFi, allowing the use of a SIM card and access the Internet from any place. Under the hood, it is is powered by Android 2.3, an upgrade on Akash’s 2.2, while its Cortex A8 700 MHz processor is a significant step up on the Akash’s Arm11, 366MHz and it will support HD video playback and provide better performance. Datawind is placing considerable marketing emphasis on the device’s similarities to a portable computer. To that point, and in addition to its improvements, it is offering a leather keyboard case which will enable users to type using a physical input. While it is unclear how many devices will be produced, the device will be manufactured by QUAD whose Hyderabad facility is apparently capable of making 1,000 devices per day. 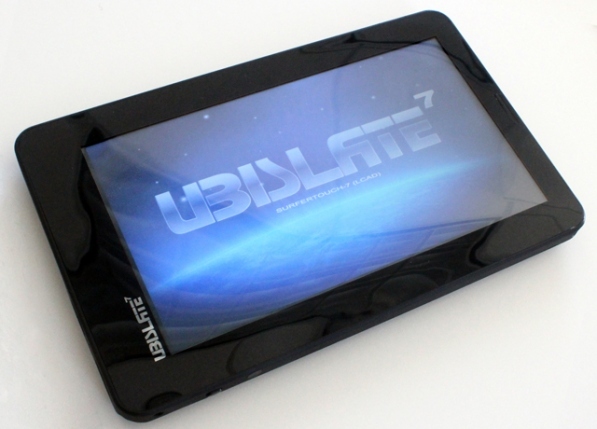 More details about the Ubislate 7 can be found on its website, where pre-orders for the device are being accepted.